I was born in Brooklyn, New York in 1962. 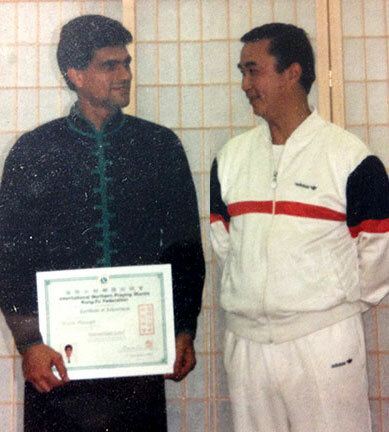 I grew up in Flushing Queens, and began my martial art career in 1976, at 14 years of age. Of course Bruce Lee was my absolute hero. I first started with Shotokan Karate, Tang Soo Do and Tae Kwon Do, learning from various schools in Jamaica, Queens. 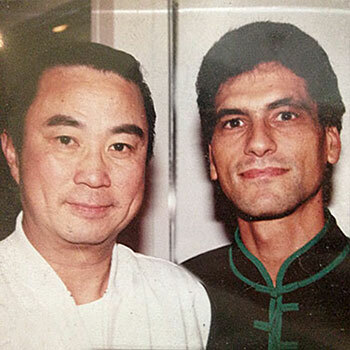 Then in 1977 I decided to focus on Kung Fu, joining Alan Lee’s Kung Fu Wu Shu academy located in Manhattan, New York. I studied with Grandmaster Lee until 1982, at which time I was seriously injured sparring against multiple attackers. I then decided to start studying Indian Yoga for 5 years, and gymnastics for a few years, while also learning Hung Gar Kung Fu. 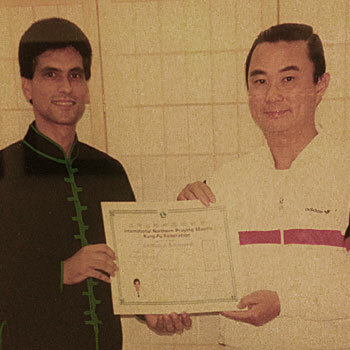 In 1990 I found what I was looking for, I joined Tony Chuy’s Praying Mantis Martial Art Institute in Manhattan, New York. 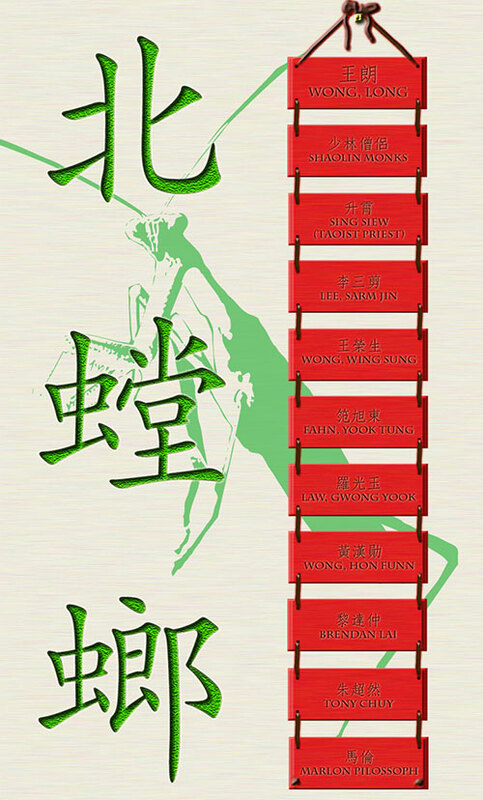 I painstakingly learned the Northern Praying Mantis system under Master Tony Chuy (9th generation), as well as Yang style Tai Chi Chuan (which I began in 1994), until I graduated from the Institute in 2002. 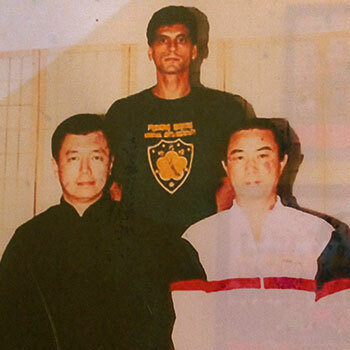 In 1998 I underwent my Bai Si (closed door) disciple initiation, taking my oath to always protect my Sifu, my style, and my lineage, to never commercialize the styles for money sake. I also had the exquisite privilege of learning directly from Master Brendan Lai (my Sifu’s teacher – 8th generation) in 1994 and 1995. Additionally, I was extremely honored to learn directly from Master Yuen, Man Gai (Master Brendan Lai’s senior classmate) in 2008 during my trip to Hong Kong and China. I learned Traditional Chinese (herbal, bone setting, acupuncture) Medicine (TCM) from Dr. Sit, Chiu Wai from 1995 to 2005. Dr. Sit was also a student of the great 7th generation disciple Wong, Hon Fun. He also taught me Taoist meditation techniques. I went through a “family induction” ceremony with Dr. Sit (4th generation of his family medical knowledge) and his family on October 22nd, 2006. I graduated from my teachers school in 2002, opened my own school, with his permission in February 2004. In 2010 I purchased a property in Mamaroneck, New York that has been the home for my school since then.